Carlson Software released the 2019 version of their desktop software yesterday and it is now available for download here. You can review the list of improvements here. 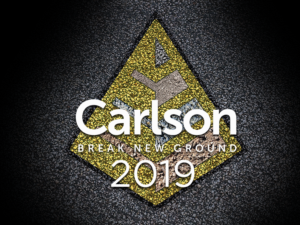 The following modules are included in this release: Programs of the Carlson Civil Suite 2019 (Survey, Civil, Hydrology, GIS), Basic Mining, Geology, Underground Mining, Surface Mining, Natural Regrade, Field, programs of Takeoff Suite (CADnet, GeoTech, Trench, Construction) and Point Clouds. The program can be installed on AutoCAD 2010-2019 or with included Intellicad 9.0 and will run on 32- or 64-bit Windows 10, Windows 8, Windows 7 and Vista Professional operating systems. If you’re not a current Carlson user or would prefer to use a 30 day trial serial number, please click here to submit your request. If your maintenance has expired or you’re not able to generate your new 2019 serial numbers, please send me an email or request a proposal for your custom pricing.